1. Can the IRS Take Money From My IRA? 2. What Happens to Federal Income Tax Debt if the Person Who Owes It Dies? 3. Can the IRS File a Lien Against My Retirement Accounts? While your IRA is safe from the reach of most creditors, the IRS is the exception. If you owe back taxes to the IRS and the IRS commences collection actions against you, it has multiple collection tools at their disposal such as garnishments and levies on your financial accounts, including your retirement accounts. If you don't pay your taxes, the IRS can levy on your retirement accounts, including IRAs, even though other creditors cannot. IRS Levy vs. IRS Lien: What's the Difference? If you don't pay your income taxes despite notices to do so, the IRS will commence collections against you. The IRS uses both levies and liens to help collect past due taxes. A tax lien is a legal claim against your assets; it attaches to your property if you don't pay your taxes, and it allows the IRS to sell your property to bring you current. A tax levy is the actual seizure and sale of the property to satisfy the debt. So if the IRS files a tax lien on your property, it will use the levy process to actually sell your property if it decides to do so. If the IRS assesses a tax and sends you a Notice and Demand for Payment, you must pay the tax in a timely manner. If you fail to pay the tax after receiving the Notice, the IRS can decide it wants to start acting against you to get its money. One of the things it can do is file a Notice of Federal Tax Lien with your county. The Notice of Federal Tax Lien puts all your other creditors on notice that the government has the legal right to seize your property and sell it to satisfy your tax bill. The lien lasts until the IRS removes it, and the government's reach is long: the IRS can essentially put a lien on everything you own, including real estate and personal property like bank accounts, household goods and furnishings, and retirement accounts. After filing a tax lien on your property, the IRS has the right to take your property and sell it. Before it can sell the property, the IRS must send you a Notice of Intent to Levy and a Notice of Your Right to a Hearing at least 30 days prior to making any property levy. The IRS can either deliver the notice to you personally, mail it to your last known address or leave it at your house or your place of work. When you owe money to a private creditor like a credit card company or a bank, and the creditor obtains a judgment against you, the creditor can also take action to levy on your property through state law collection actions. However, certain property you own is exempt from levy by private creditors, including certain tax-exempt retirement accounts. Private creditors cannot levy on IRAs and 401(k) plans; however, the government can levy on them. The IRS can and will levy on retirement accounts to satisfy past due taxes. 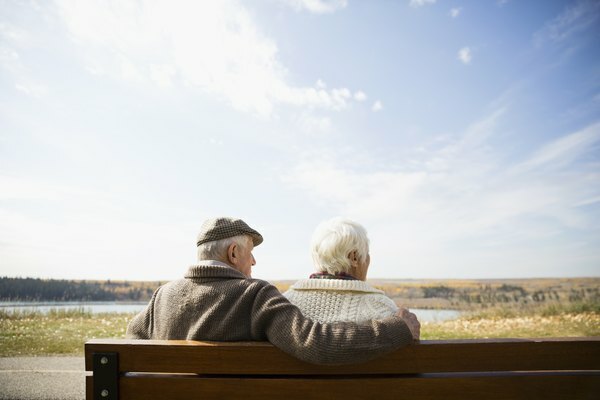 If the IRS authorizes an agent to levy on your IRA, the agent has the right to demand distribution from your retirement account within the parameters set forth in your retirement plan, even if you haven't reached retirement age. The IRS generally prefers to levy on assets other than retirement accounts and will go after these accounts only as a last resort or if the taxpayer engaged in "flagrant conduct" such as tax evasion or tax fraud. However, even if you haven't engaged in this type of conduct, your IRA is still up for grabs. If the IRS levies on your IRA, you may have to pay taxes on whatever is distributed to the IRS, depending upon how your IRA contributions were made. A traditional IRA can be funded using either pretax income or post-tax income. Generally, pretax contributions will be taxed when you receive distributions after you retire, while post-tax contributions will be distributed to you tax-free since you already paid taxes on the income before you deposited it (any interest earned will be taxable). If the IRS does levy on your IRA, you will be taxed on the amount withdrawn that correlates to interest earned or pretax contributions, just as you would be if you took distributions from the IRA at retirement, even though you didn't withdraw the money for yourself. You'll have to report that distribution as income because although the IRS took the money, it was income to you because it was used to pay a debt you owed. Fortunately, any distributions made because of an IRS levy are not subject to the 10 percent early withdrawal penalty, regardless of your age. The best way to avoid a tax levy is to pay your taxes as they come due, and if you can't pay your taxes, contact the IRS to work out an arrangement, such as an Offer in Compromise, which will allow you to pay a sum that is less than what is owed, or an Installment Agreement to pay the taxes over time. While Offers in Compromise are not readily granted, Installment Agreements are usually available to taxpayers who can show that they can't afford to pay all at once but can afford to pay regularly until paid in full. If you do receive a Notice of Intent to Levy and you can't pay the full balance due, contact the IRS right away to try to work something out. If you're suffering an economic hardship, you can notify the IRS of the hardship and provide financial records to prove it. The IRS may decide to release the levy based upon your hardship. The IRS must release the levy if you pay the amount due in full or if the IRS determines that releasing the levy will help you pay your taxes. It must also release the levy if you enter into an Installment Agreement, or if the property levied is worth more than the tax debt and releasing the levy won't hinder the IRS's ability to collect on the debt. For example, if you owe $25,000 to the IRS and your IRA is worth $50,000, the IRS will release the levy if it decides that doing so won't prevent it from collecting on the debt by other means. It's important to note that if the IRS puts a tax lien on your property and then removes it, the removal of the lien or release of the levy does not get rid of the underlying debt unless it is paid in full. Liens and levies represent rights to property, and they are separate and distinct from the actual debt, just like a mortgage is separate from a house loan. If you owe $25,000 to the IRS and the IRS decides to release a levy on, or remove a lien from, your IRA that simply means that the IRS has withdrawn its right to pursue that particular asset for collection. You still owe the $25,000 unless you paid it off. IRS: What's the Difference Between a Levy and a Lien? IRS: What is a Levy? IRS: How Do I Get a Levy Released? Brager Tax Law Group: Can the IRS Levy My Retirement Account? Can the IRS Force Me to Have an Audit?